Spring is here so it is time to think about Spring cleaning. 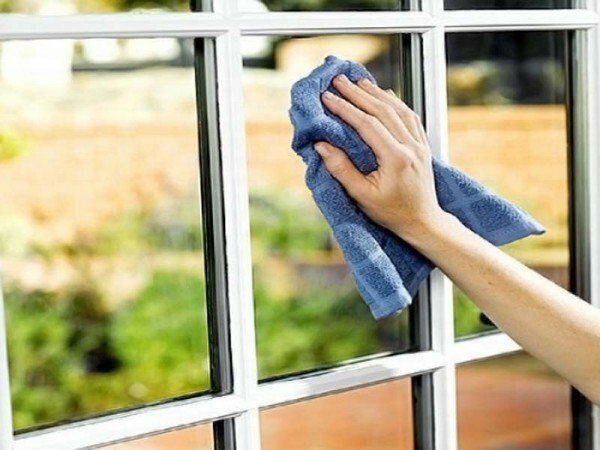 This article from houzz.com provides some great tips and tricks from the pro's on how to clean your windows so they are steak-free. Pick a cloudy day. On a sunny day everything dries quicker making it more difficult to keep the window streak-free. Protect your floors and walls. Put drop cloths down. Wipe the window down with a sponge and then squeegee away the excess. Wipe the squeegee off with a soft cloth every 1-2 swipes. Special tip: Wipe the window vertically on one side and horizontally on the other. Then in the event there are streaks you will know which side they are on. To clean dirty window tracks, first vacuum them out using an attachment and then clean with a toothbrush for those hard to reach crevices. Don't forget to clean your storm windows and screens so your house is ready for those first warm days of Spring! If window washing has become a little overwhelming, call a pro. Make sure the company is bonded and insured and has been in business for awhile. While washing your windows if you see moisture between the window panes or they are fogged, call Frank's Glass at 513.829.8284 for a free estimate to have those window panes replaced for the best energy efficiency through those hot summer months. Screens torn? Give Frank's Glass a call. If the frame is in good condition we can rescreen them. If not we can give you a free estimate on the cost of a replacement screen. Then sit back and enjoy the view!